Hardback. New. 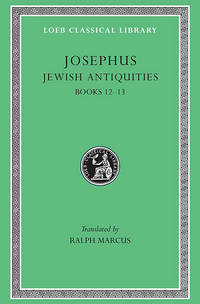 The major works of Josephus (c. 37 after 97 CE) are History of the Jewish War, from 170 BCE to his own time, and Jewish Antiquities, from creation to 66 CE. Also by him are an autobiographical Life and a treatise Against Apion.